I woke up in the middle of the night the other evening having a nightmare. In it, someone was chasing a hummingbird around my yard with a can of bug spray, trying to kill it. I was yelling and screaming at the person, trying to get them to realize the horrible thing they were doing. The dream was a pretty good reflection of my life. I spend a lot of time trying to encourage people to be a little more aware of how their actions impact all of the living things in their gardens. But like most dreams, there was something that had put the thought of dead hummingbirds into my mind, where it found its way into my dreams. Last week, I found some photos on someone's blog of a hummingbird flying to a feeder where a large praying mantis was sitting. It was on the Birds 'N Such Blog, created by Alan Pulley of Norfolk Virginia. I began reading the post, about how he was watching the hummingbird fly up towards the mantis, and already my mind was screaming "NOOOOOOOO!!!!!!" Well, you all probably know how much I love hummingbirds. They are like tiny little flying miracles to me. They bring me joy every time I see one. AND, I knew that praying mantises can eat hummingbirds. I know it seems hard to believe, but its true. After first reading that statement, years ago, I did some online research and found both photos and videos of praying mantises killing hummingbirds. That is one reason I never mention Praying Mantises as beneficial insects, even though they are great at devouring a lot of bad insects in our yards. The unpleasant truth is, they don't stop with insects and will be happy to kill a beautiful little hummingbird if given the opportunity. The whole thought of it is so sad to me, that I'm not going to provide any links to the many gory photos you can on-line. Feel free to search for praying mantis and hummingbirds if you want. But some of the photos are bad enough to cause nightmares for real nature nerds. It's just another reminder that you really have to be careful of everything you do in your yard and garden. Alan made the choice of relocating his feeder. The last time I found a praying mantis, I made the choice of moving the mantis. In any case, no matter how you do it, I encourage you to watch out for the critters! 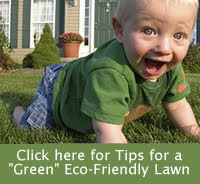 As an eco-friendly gardener, the responsibility comes with the territory. Now I need to figure out what the nightmare I had about hawks being trapped in my attic was all about. At least it wasn't bats in my belfry.